I am getting married in about 2 months time and my friend Leon, the best personal trainer in the UK*, has given me some tips and exercises to give me the best chance of looking good for my wedding, the main one being “Stop Baking”. The trouble with baking all of these wonderful things is I invariably eat most of them myself which is not conducive to a healthy waistline! 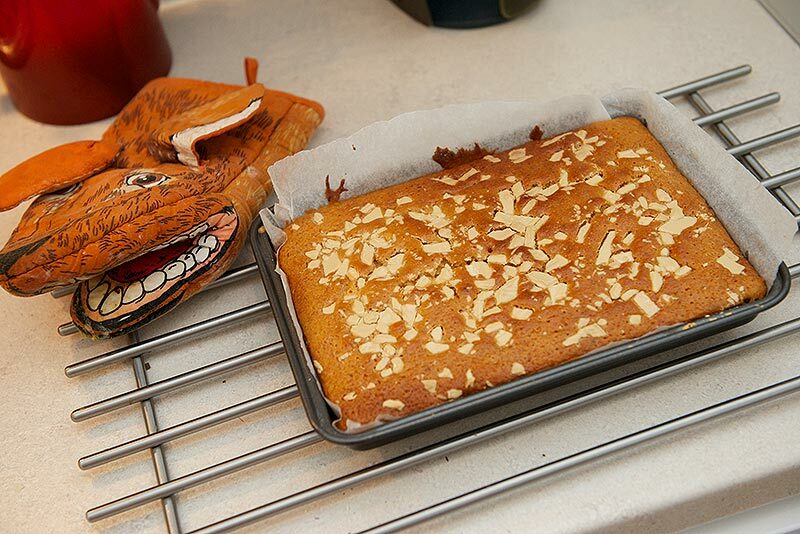 Last weekend was my stag weekend, a gathering of my closest friends and a perfect excuse to bake something. After all, it’s not that bad if I don’t eat it all myself right? Because my baking abstinence, I wanted to make something really calorie laden and indulgent. It also had to transport well to the mystery Stag location and be easily divided between the guys. This recipe jumped out of the page at me and I had to bake it! It’s taken from Annie Bell’s Baking Bible and I added some Caramac chocolate because it seemed like the perfect match! Preheat the fan-assisted oven to 170c and grease/line a 23cm brownie tin. 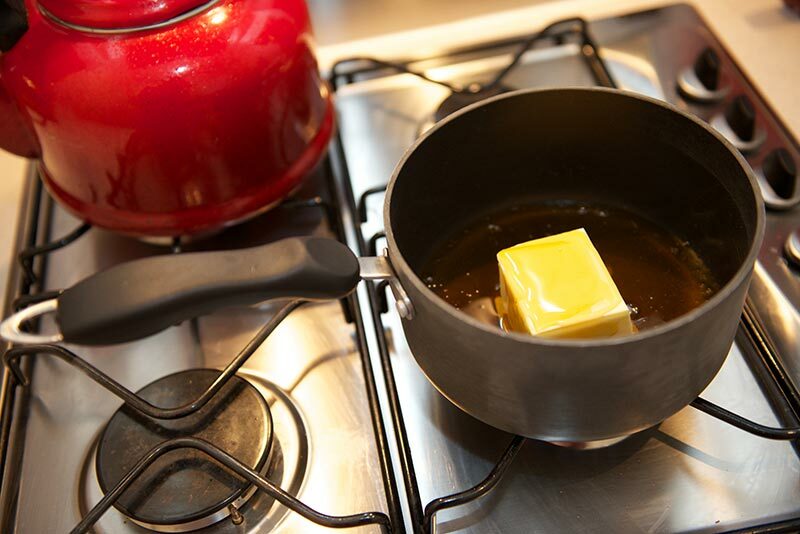 Gently heat the butter, syrup, honey and vanilla in a saucepan until melted. Leave to cool for about 15 minutes then beat the eggs in one at a time. Sift over and fold in the flour and baking powder, whisking until smooth. 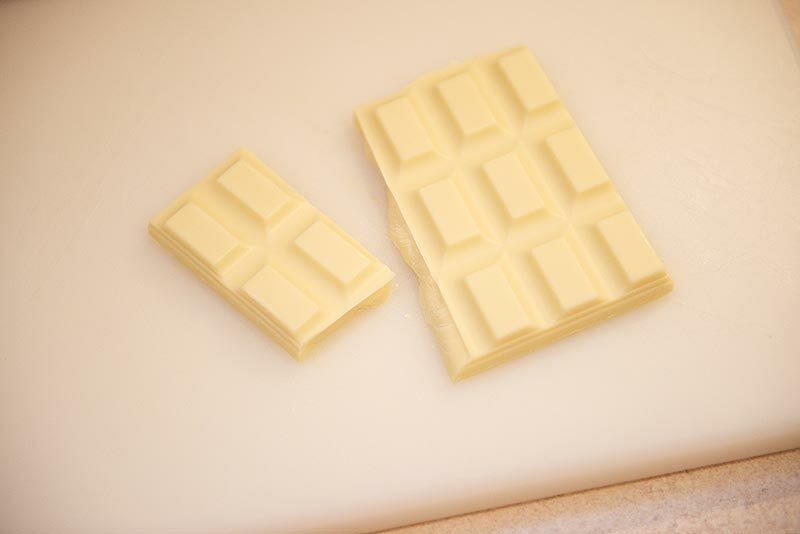 Chop your chocolate and Caramac into small chunks. 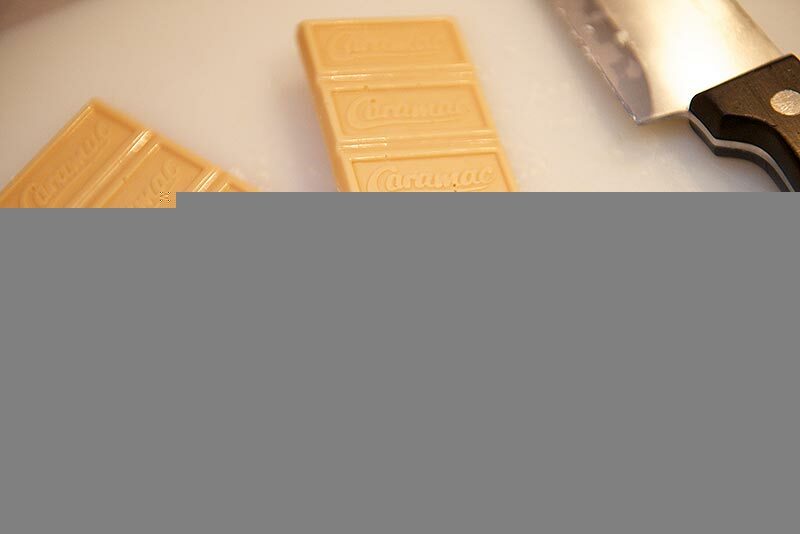 Pour into the prepared tin, scatter over the white chocolate and stir to spread out evenly within the mixture, then sprinkle the Caramac over the top. 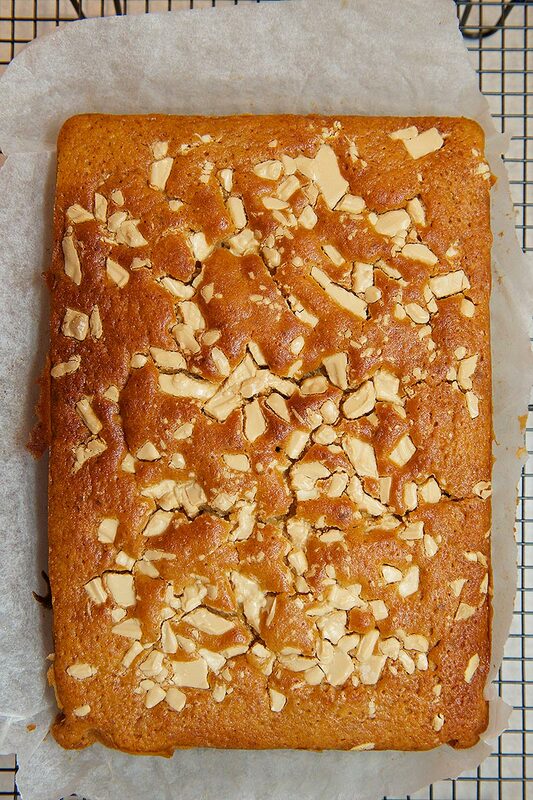 Bake for 30 minutes until an inserted skewer comes out clean and the top of the cake is cracking an golden. Run a knife around the edge and leave to cool slightly before removing from the tin and cooling some more on a rack. 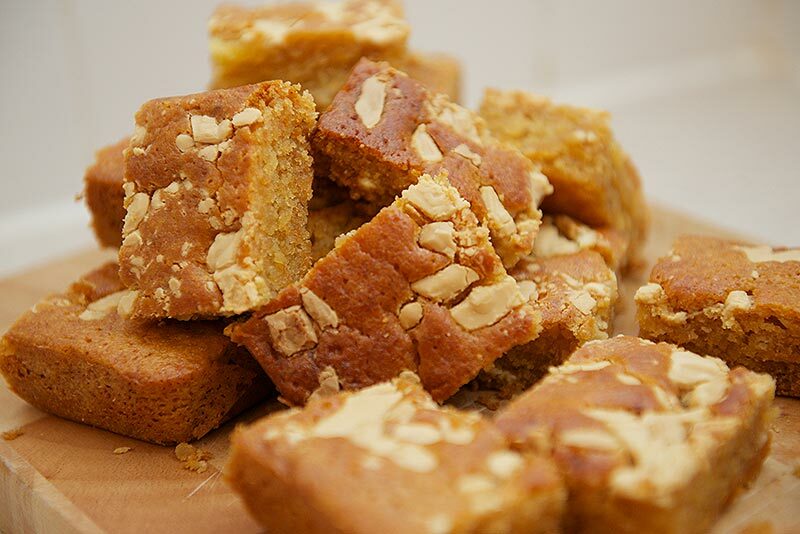 Cut into squares and share with everyone! 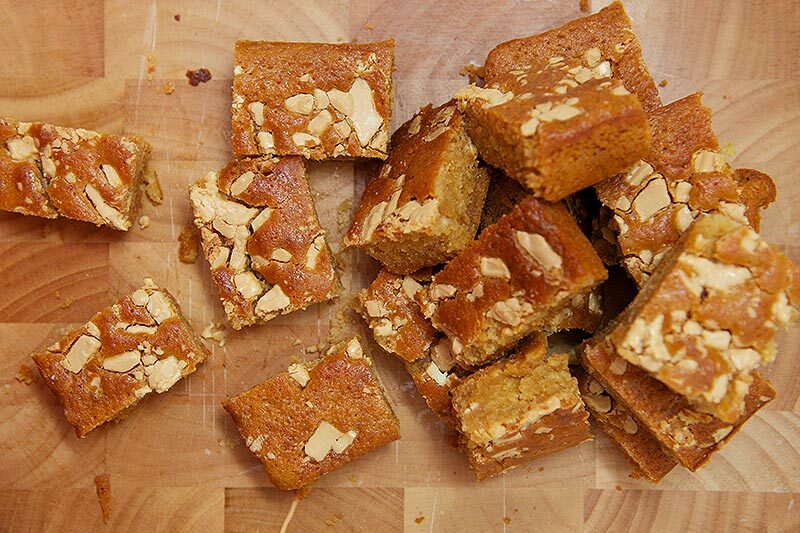 These blondies were phenomenal! 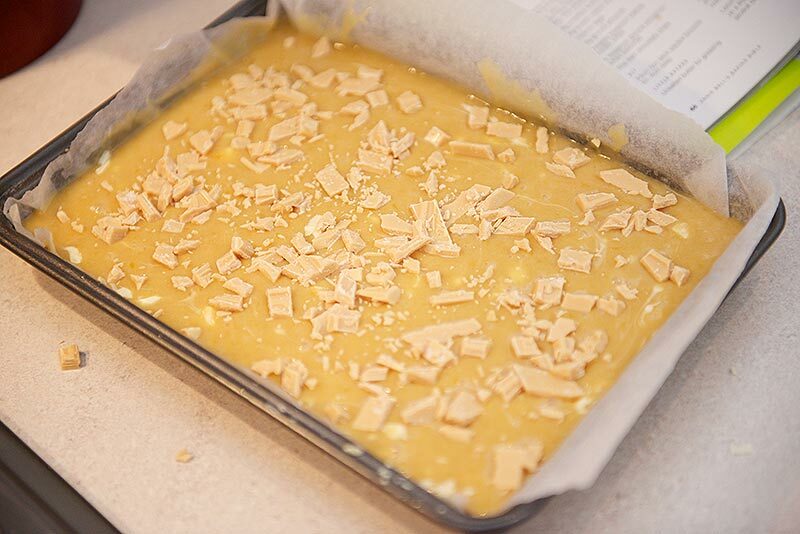 The golden syrup and honey make them stickier than normal and the caramac was a great addition! *Results not yet announced, but he’s bloody awesome! Wow! Just made these in preparation fory hubby’s first Father’s Day and they are soooooo good!! Caramac is his fav ‘chocolate’ so was looking for a baking recipe-thank you!! Will def be keeping this one!